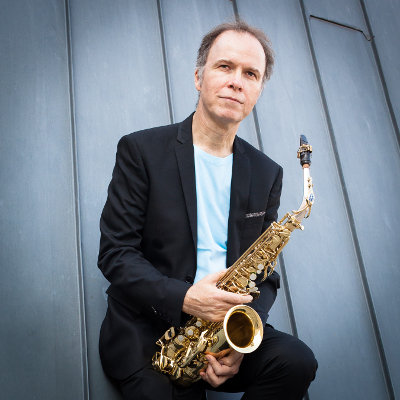 Internationally renowned saxophonist and pedagogue Philippe Geiss will be running a masterclass at the Melbourne International Saxophone Festival, held on the 28th and 29th of July. This is the perfect opportunity for tertiary level students to workshop one piece and receive invaluable feedback. Three students will be chosen to perform in the masterclass. Positions will be confirmed by 5pm, Monday 9 July. the Festival d’Avignon and the Académie du disque français, as well as the Music Prize of the Académie Rhénane. Besides his performance skills, he is also in great demand as a composer, with a catalogue ranging from solo to symphonic repertoire and published by Billaudot, Robert Martin and Leduc. He is Professor at the Strasbourg Conservatory and the Strasbourg Superior Music Academy / Haute École des Arts du Rhin, as well as a Guest Professor at the Senzoku Gakuen College of Tokyo and a member of the scientific committee of LabEx-GREAM at Strasbourg University. Philippe Geiss is Vice-President of the International Saxophone Committee, in which role he masterminded the artistic direction of SaxOpen – the 17th Congress and World Festival of the Saxophone – in Strasbourg in 2015. Philippe Geiss is a Selmer & D’Addario artist.